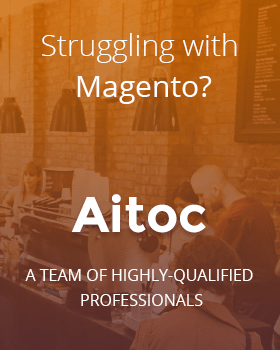 Aitoc announces the new Custom Product Designer module for Magento 2 is finally released! Aitoc is excited to announce that the new Custom Product Designer module for Magento 2 is finally released! Today customization of products has become one of the crucial factors driving success for e-commerce businesses. The reason is simple: we all love the things that reflect our personality, passions and interests. Individual souvenirs, stationary with engravings, or bits and bobs with funny prints create long lasting memories. And so make it a nice gift for a friend, colleague or just for yourself. Hence, providing intuitive design-it-yourself tools for shoppers, online stores get the unique opportunity to engage customers, while fostering their loyalty with no significant efforts. 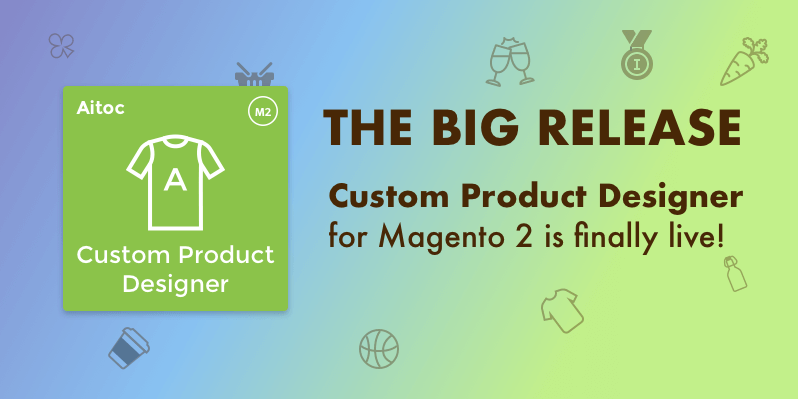 To help you keep up with this promising trend, we have launched the Custom Product Designer extension for Magento 2. CDP is a comprehensive module that allows customers creating custom designs for any products you offer at your Magento-driven store. Personalization of mugs, shirts, photo frames or phone cases has never been easier – with our extension your customers will get exclusive goods on the fly. First of all, choose any products from your store you’d like to be customizable and set special prices for them. Intuitive and easy-to-use, CDP will then enable your customers to personalize the product they want by adding clip arts, photos, signs, text or any other object to it. After the order is placed, you will get a high-resolution picture with the design to send it for print. Seems easy, right? And it actually is! Get access to files with all the designs created by customers. In addition, we’ve implemented a repeat purchase option to encourage customers to come back to your store. What a great way to bring additional revenue opportunities! A special feature to duplicate text or image objects as many times as they want. Great news! With the purchase of Custom Product Designer we offer a 30-days money back guarantee and free email support for life. Moreover, we provide a 6-months period of free updates! Interested in exploring the full functionality of Customer Product Designer? Visit our website to learn more. 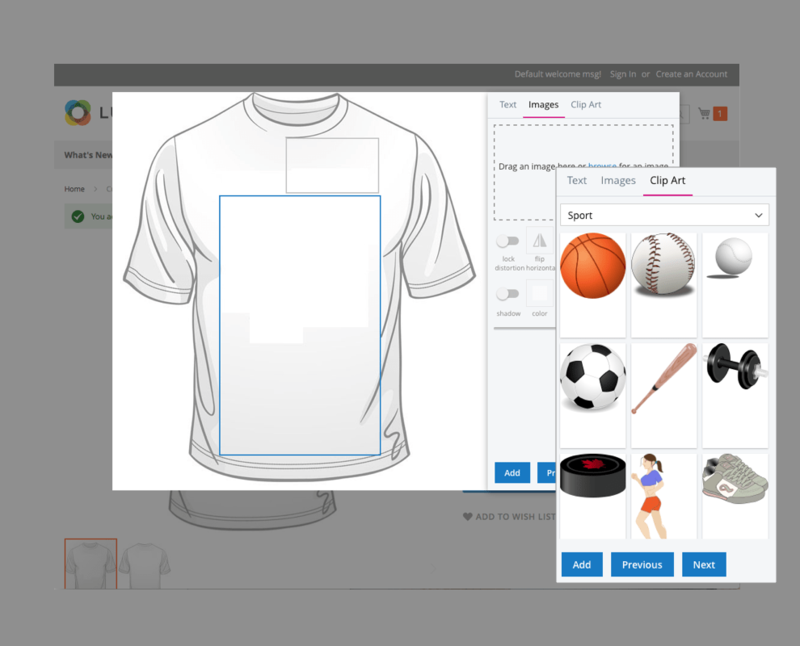 Help your customers get exclusive, custom-made products, and reap the benefits from their loyalty with the new Custom Product Designer from Aitoc!